The term Techniques of Neutralization was devised by Sykes and Matza in 1957 (see here) to analyze how people suppress guilt by rationalizing their actions in ways that deny or transfer blame. This posting applies their five categories to the excuses used by the Nazis and their denier apologists to evade any guilt for the shootings of Jews they carried out in the USSR. 1) The Denial of Responsibility occurs when the Nazis or their excusers claim that their actions were driven by forces beyond their control. For example, Mattogno and Graf claimed in Treblinka that "According to Mayer, the massacres of the eastern Jews was [sic] not part of a comprehensive plan of extermination, but occurred as the result of the inexorable radicalization of the war in the east and because the eastern Jews were classified by the SS as carriers of Bolshevism." In The “Extermination Camps” of “Aktion Reinhardt”, Mattogno argues that shootings were a rational and understandable response to the threat posed by partisans (see p.211 and p.226). The Germans are portrayed as being carried along by the tide of history, and the radicalization of their actions is viewed as the natural outcome of any war in this terrain. 2) The Denial of Injury takes place when the perpetrator claims that no deaths or injuries occurred. Deniers rarely claim that no Jews died from shootings but they minimize "injury" by claiming that most Jews had already fled before the Germans arrived, most of those left over were resettled farther east, and that killing numbers were greatly exaggerated. The main study that claimed the Jews had fled was that of Sanning, whereas resettlement has been argued in the Aktion Reinhard books of Mattogno, Graf and Kues. 3) The Denial of a Victim is the main technique used by Mattogno and Graf, and is essentially antisemitic. It occurs when a denier claims that the action was not a crime because the supposed victim was actually a perpetrator whose death was deserved. Goebbels set this trend with such articles as "The Jews are Guilty!" 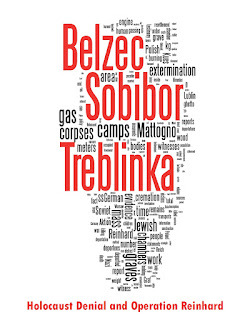 Mattogno and Graf give an example of the denier version in Treblinka by claiming that "eastern Jews were killed...on account of sabotage, anti-German activities, as carriers of diseases, and above all as retaliatory measures for partisan attacks." The reasons given in Operational Situation Reports for killing Jews are taken at face value by deniers, even though they then claim (hypocritically) that the killing numbers in the reports are exaggerated. It has symbolic value that the Jewess Simone Veil, former inmate in Auschwitz, a so called “Holocaust-survivor”, had abortion legalized during her tenure as France’s “minister of health”, and upon the founding of the European Parliament was elected its “honorary president”. By this choice “Europe” (that is the criminal clique that rules over the old continent) initiated a culture of death which would necessarily lead to its downfall – unless this barbarism is halted in time. "The greatest virtue of the Germans is a certain loyalty, a certain, thick-headed, but movingly generous loyalty. The German fights for the worst causes, once he has taken the King‘s shilling, or whenever he has promised his support in a moment of enthusiasm; he fights with a breaking heart, but he fights; no matter how much his better conviction may demur, he cannot simply desert the banner, and he is least likely of all to do so when his party is in danger or perhaps surrounded by superior numbers of enemy…"
Nazis relied on higher loyalties to ensure that their underlings co-operated in crimes against Jews. Holocaust denial is itself a form of loyalty to the regime that requires the excusing of any crime that cannot be feasibly denied, in addition to the denial of everything that can possibly be contested. Mattogno, Graf et al in a nutshell. Great article! Sorry, but the logic of the first point perplexes me. If a detective is investigating the homicide of X, perpetrated by Y, and in doing so he's defining the motive of Y for killing X, and he discards the racial motive (motive a), establishing, let's say, that it's a murder occurred during a clash between gangs (motive b) - is the detective "denying blame"? If somebody says that a murder occurred in the context of a gang clash, with its dynamics, is he stating that it's a rational or good or innocent murder? And he is stating that the perpetrator bears no responsability? Or is he simply pointing out that the murder occurred because of motive b and not because of motive a? And the same may be said of point 3). If in an history book I read, for example, that the Nazis used to kill italian civilians or partisans as a retaliation for partisans' attacks or sabotage - the statement doesn't imply that the Nazis were right in doing so and that the civilians deserved to die, it just illustrates a dynamic that - to put it simple terms - either it's a fact or not. I don't think you've understood either point, perhaps because you're analogising away from them rather than examining the specific situations and points made. I don't know. They seem pretty clear to me. That's why I've used those analogies. The use of analogies serves the purpose of showing the same approach normally used in other circumstances, circumstances that may be less emotionally charged for the individuals partecipating in this debate. Well, your response to point #1 ignored the fact that the point concerned how to interpret *mass* violence over an entire campaign (Barbarossa), whereas your analogy concerned motives for an individual killing in a peacetime situation. Your response to point #3 talked about reprisals in Italy, when there are plenty of good examples of exactly the same phenomenon from 1941 in the Soviet Union which can be discussed and compared. Both points concerned attempts by Holocaust deniers to obfuscate responsibility for, and submerge the significance of, mass shootings of Jews in the USSR during 1941, either by saying 'there was a war on' or 'there was a partisan war on', or by turning unarmed civilians into targets of justifiable violence by claiming they were partisans, saboteurs, etc. These gambits by deniers might work if someone is ignorant of the actual course of the partisan war and German anti-partisan operations in 1941, but not if the historically and geographically specific circumstances are understood. For example, there were as good as no Soviet partisans in the Baltic states of Lithuania and Latvia, which were also overrun extremely quickly, with the really large-scale killings taking place a few months after combat had ended, at a time when these countries had been handed over to civilian administration. The Nazis staged a 'provocation' in Wilno by shooting at their own men in order to 'justify' seizing thousands of Jews to be executed at Ponary. Even if one wanted to doubt that the Nazis shot at themselves, the killing of thousands of people in retaliation for a single sniper is utterly, ludicrously disproportionate. There were also few Soviet partisans in Ukraine, while the majority of 'partisans' in Belarus and central Russia were actually Red Army stragglers in 1941. In any case, partisans generally operated in the countryside, whereas Jews mostly lived in *towns and cities*, and were increasingly confined to ghettos, i.e. imprisoned preemptively. Yet it was precisely these urban, frequently ghettoised Jewish communities who were wiped out with spurious excuses about security threats. But the Nazis also failed to explain why they massacred entire urban Jewish communities, or came up with other excuses, like the threat of epidemics or food shortages, so pointing solely to the fantasised security threat is a distortion of the reasons given, or not given, for the killings. German forces carried out numerous reprisals against Belarusians, Russians and Ukrainians in the countryside in the course of hunting down stragglers and partisans during 'Barbarossa'. By comparison with anti-partisan operations in 1942-44 in the USSR or in the Mediterranean/France in 1943-44, the Germans were relatively restrained and actually burned down very few villages in 1941. But the Army, Police and SS did have a nasty habit of executing Jews living in smaller towns and villages they encountered on their sweeps. There is little evidence from the surviving German records that more than a tiny minority of the Jews in the countryside/provincial areas had in fact got anything to do with the partisans. Opting to execute rural Jews as a security strategy was clearly and consciously racist. The clearest example of displacing the security threat onto the Jews, as we've discussed on this blog several times previously, comes from Serbia. In September 1941, OKW ordered a 100:1 reprisal ratio for the deaths of German soldiers killed by partisans or resistance fighters. In Serbia, Tito's partisans started killing German soldiers, yet the Nazis there decided to take Central European Jewish refugees out of internment camps to execute them in reprisal, as well as killing all Serbian male Jews as 'hostages'. The circumstances are explained clearly and consistently in every decent account of this incident. 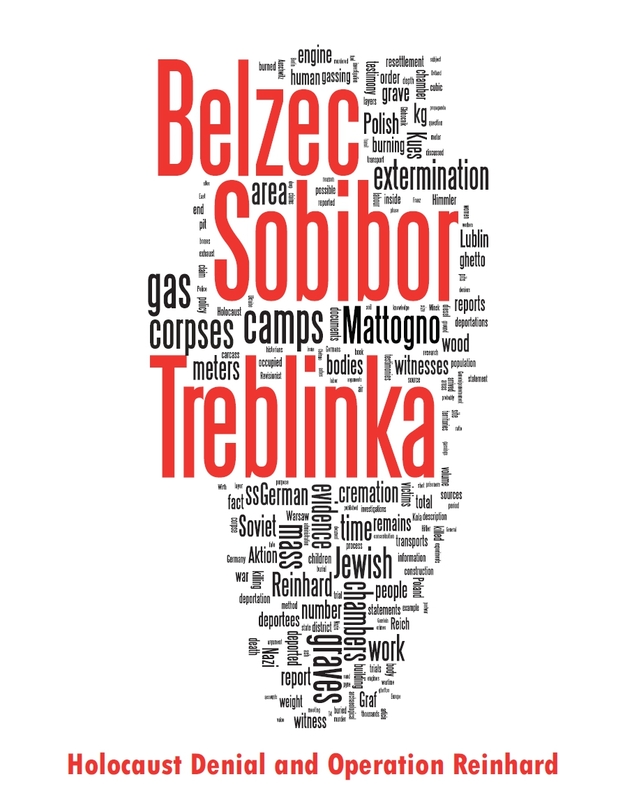 Serbian Jewish women and children were killed in gas vans the following spring with no appeal to security concerns. It's in any case funny that you tried to analogise to Nazi reprisals against civilians in Italy, since village-burnings and massacres of non-Jews (Oradour, Marzabotto, Klissura etc) remain extremely *emotional* topics in Italy, Greece and France to the present day. 1) "Sorry, but the logic of the first point perplexes me. If a detective is investigating the homicide of X, perpetrated by Y, and in doing so he's defining the motive of Y for killing X, and he discards the racial motive (motive a), establishing, let's say, that it's a murder occurred during a clash between gangs (motive b) - is the detective "denying blame"?" Only if he's denying blame by removing the factor of choice from the context. The Nazis could have chosen not to shoot these Jews. Deniers say they had no choice. The detective in your example would presumably still say the gang member had a choice: he could have left the gang or refused to carry out a particular order. So the analogy fails. 2) "If in an history book I read, for example, that the Nazis used to kill italian civilians or partisans as a retaliation for partisans' attacks or sabotage - the statement doesn't imply that the Nazis were right in doing so and that the civilians deserved to die, it just illustrates a dynamic that - to put it simple terms - either it's a fact or not"
You simply haven't read the examples I gave. Mattogno and Graf are stating that the partisan attacks were the reason for the shootings, not that the Nazi policy itself was the reason. They are shifting focus from "why did the Nazis choose specifically to kill Jews in response to these attacks?" to simply blaming the attacks themselves, hence blaming the victim. The fact that the Nazis chose specifically to shoot the Jews is itself an admission that the motive included antisemitism.